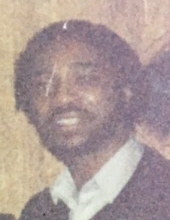 Paul Anthony Harris, 60, of Springfield passed away on Wednesday, April 3, 2019 at his residence. To send flowers or a remembrance gift to the family of Paul Anthony Harris, please visit our Tribute Store. Or, if you would like to donate to the family, please visit Paul's Tribute Fund. Guaranteed delivery before Paul's visitation begins. Help ease the financial burden placed on the Harris Family after the loss of a loved one by making a donation. "Email Address" would like to share the life celebration of Paul Anthony Harris. Click on the "link" to go to share a favorite memory or leave a condolence message for the family. Provide comfort by sending fresh flowers from our local florist or donating to Paul's Tribute Fund.